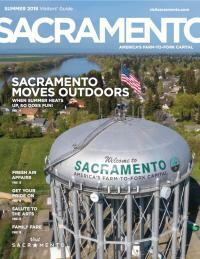 The Sacramento Visitors&apos; Guide is your source of the best things to see and do in Sacramento. 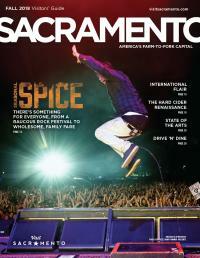 The guide is published three times per year and features the best Sacramento attractions, activities and sights. See why we&apos;re so fond of saying California Begins Here. Get the scoop on Downtown and Midtown restaurants, the best activities to share with family (including pets) and where to stay. Also find a quick roundup of 10 seasonal things to do. Each issue also features a local&apos;s perspective. A chef profile also lets you dig deeper into discovering just why Sacramento is America&apos;s Farm-to-Fork Capital, and even if you&apos;re a regular visitor or grew up here, there&apos;s sure to be something new showcased in the pages of the guide. 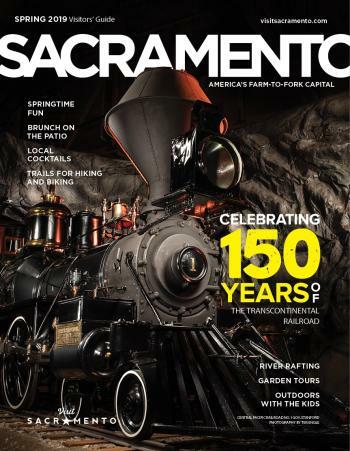 In this issue: Learn all about the impact the Transcontinental Railroad had on Sacramento and the country, and see how the sesquicentennial of its completion is being celebrated. With all the rain this year, the spring and summer whitewater rafting season is sure to be excellent, and we have the details on how to get the most out of it, regardless of your skill level. Prefer to sit back with a craft cocktail for brunch on a patio? That, and much more, is all in this issue of the Sacramento Visitors&apos; Guide. Check out the online version of the guide or request one from our office by clicking here, calling 916.808.7777 or mailing us at 1608 I St. Sacramento, CA 95814. Check out how Sacramento is becoming an emerging destination for music festivals, dive into the region&apos;s international culinary flair, get a taste of the burgeoning hard cider producers, and find your way to unique restaurants where the drive there is half the fun. Read more. Find great outdoor summer activities in the Sacramento region, discover some of the best food you&apos;ll ever eat, get local insight into the area&apos;s exciting arts scene, learn how to visit California&apos;s capital with your four-legged friend, and discover attractions that are fun for the whole family. Read more.